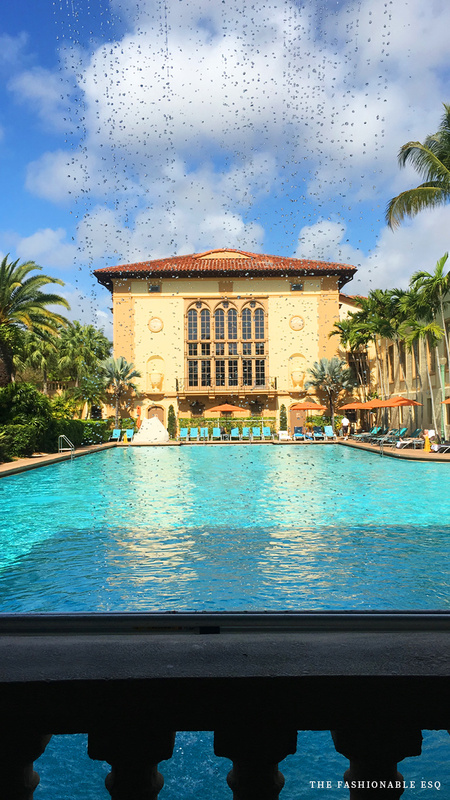 I recently spent an afternoon at The Biltmore Hotel in Coral Gables. Our best friend celebrated a surprise birthday, pool side, in a cabana. While we were on site I had my first pre-natal massage and snapped some photos of what I wore. For reference, I'm 22 weeks pregnant in these pictures. Click through for my outfit photos. This is look can be both a maternity look and non-maternity look. 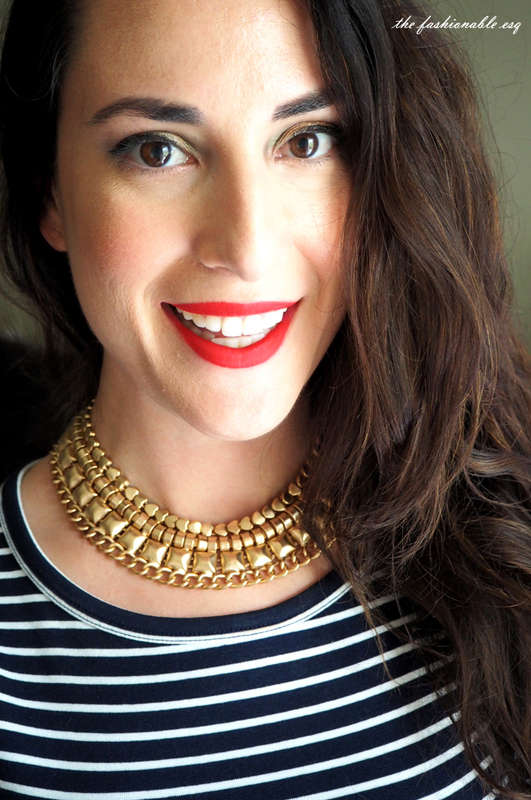 It's a fun poolside or beach look that is really easy. The outfit is built around a few layers of bright colors with a pop of really bright color from the shoes. It's a bold color palette, layered over a solid yellow dress. Pretty easy and fun to wear. If you have kids and are going to be running around after them, change out the floor-length duster for something with a slightly shorter hem and keep the flats. I'm 22 weeks pregnant in these pictures. 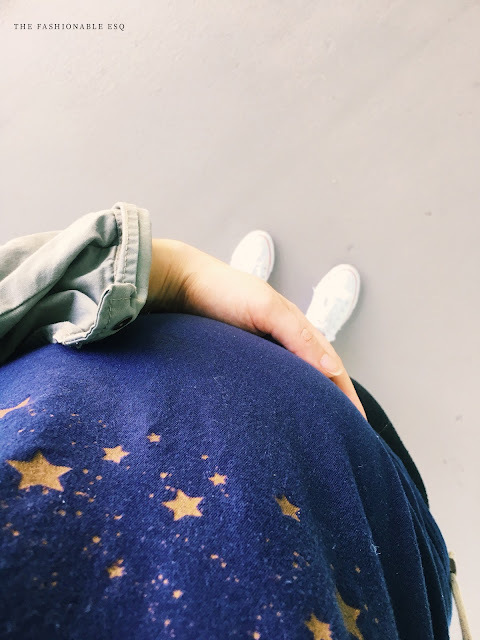 Here is what no one tells you - there is a really high possibility that being pregnant will cause a variety of unexpected ailments. Obviously, you can expect what is regularly spoken of; morning sickness and exhaustion during the first trimester - totally expected. Sensitivity to certain smells, yep that happens too, but what I didn't see coming were the migraines. I've had migraines since high school but did not ever suffer from them to the point where I had several a week. As I got older, I began to have them less and less. Before I got pregnant, I estimate I was getting about 8 or 9 migraines a year. For a migraine sufferer, this is really not bad. Over the holidays, we shared our happy news with friends and family. I took a few days off of work. Life was good. On New Year's Eve, I started getting a terrible headache. It lingered through the night, and was gone by morning. By January 11th, and I'd had 8 migraines since the new year. Twice they've lasted over 48 hours. I would come home from work on Friday, and the migraine would last all of Friday night, and through Saturday day and night. It would linger a bit on Sunday before subsiding. The cycle would start again knowing the stress of my job and the work week were looming. Surprise! I'm pregnant. It's a completely new experience for us that has us over the moon with happiness and excitement. It's the best of times and we have been lucky enough to have had this blessing during the holidays and Christmas. The best. I just finished my first trimester and starting to show a bit. Based upon mama recs and some reviews, I ordered a few belly creams/ stretch mark creams. I've been testing some out and wanted to share what I've found with you. Burt's Bees Mama Bee Belly Butter: $9.79 available at Amazon and Target. This is the winner for me. It comes in a pretty good sized tub. It's easy to spread, absorbs quickly, and leaves my skin really soft. As a bonus, you can also use it on your legs post-shave, and it will work to hydrate. It has a very mild, almost undetectable scent that does not linger. 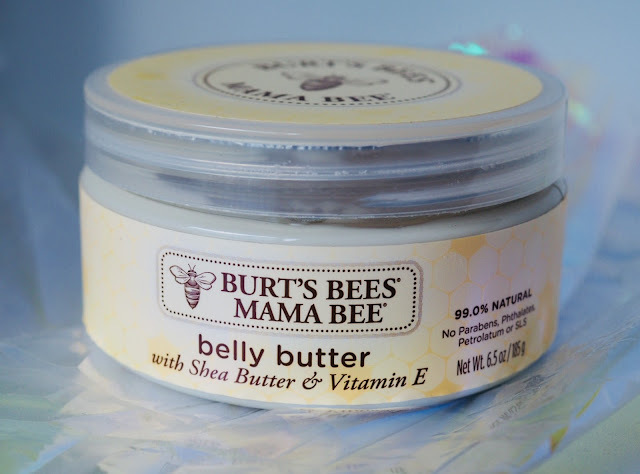 The Burt's Bee's Mama Bee Belly Butter is labeled as being 99% natural. 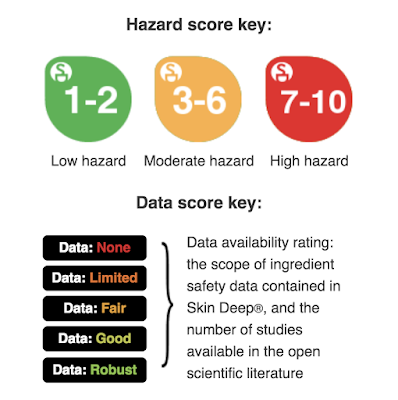 It is rated a 2 by the EWG Skin Deep Cosmetics Database. If you are unfamiliar with EWG and EWG Skin Deep Cosmetic Database (as I was, until fairly recently,) you will want to go online and browse the site. It's a very handy tool if you are trying to cut out toxic and hazardous chemicals that are contained in every day products. EWG ranks products according to how harmful they are; a level 1 rating being the least harmful, a level 10 being the most. EWG also ranks each individual ingredient contained in a product. It's shocking to see the garbage that's in your foundation, blush, dishwashing soap, mascara, etc. Now that baby is coming, I'm trying to be a bit more cautious. This belly butter fits the bill. 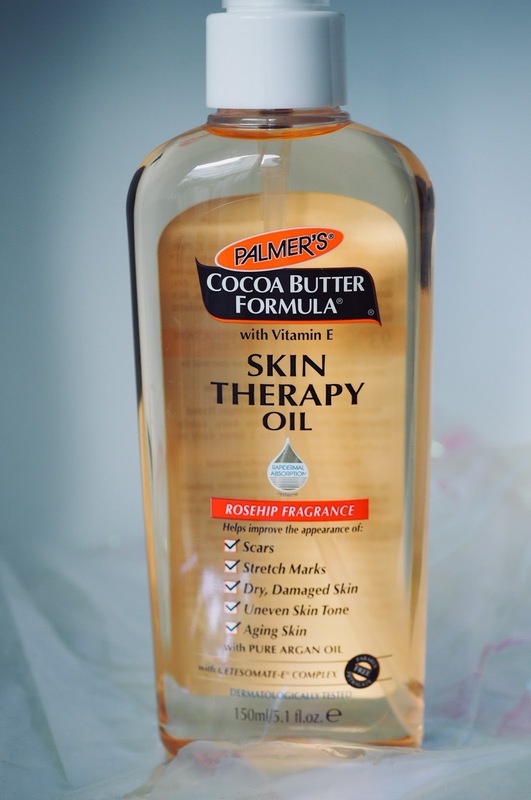 Palmer's Cocoa Butter Skin Therapy Oil: $9.69, available at Amazon. I'll admit that Palmer's was the first brand that came to mind when thinking about stretch mark creams. I feel like I grew up watching the Palmer's cocoa butter commercials. I didn't purchase that though. I opted for their Skin Therapy Oil. I like that this product contains Argan oil and vitamin E but dislike the heavy fragrance. EWG ranks this product a 3, with the most offensive ingredient being the fragrance, individually ranked as an 8. Palmer's Skin Therapy Oil contains a strong Rosehip scent. I smell it more than I do any trace of the cocoa butter scent. It also unfortunately lingers. If you are OK with fragrance, or don't mind this particular scent, you will like this product but for me this was a pass. Palmer's Skin Therapy Oil with Rosehip (strongly fragranced). Earth Mama Belly Oil: $15.00, available at Amazon, Target and the Earth Mama website. Earth Mama Organics is a great, natural, plant-based product line. When you look at the ingredients contained in the Earth Mama products, you will be able to easily recognize and pronounce them all. This product is rated a 1 on the EWG website - the lowest toxic and safest designation. It contains a blend of pure organic oils as well essential oils like orange blossom. When first applied, this has an organic, earthy scent which quickly dissipates. The product is quite oily but not sticky or tacky. I apply it post-shower, before bed. It has been one of my favorites, so far. 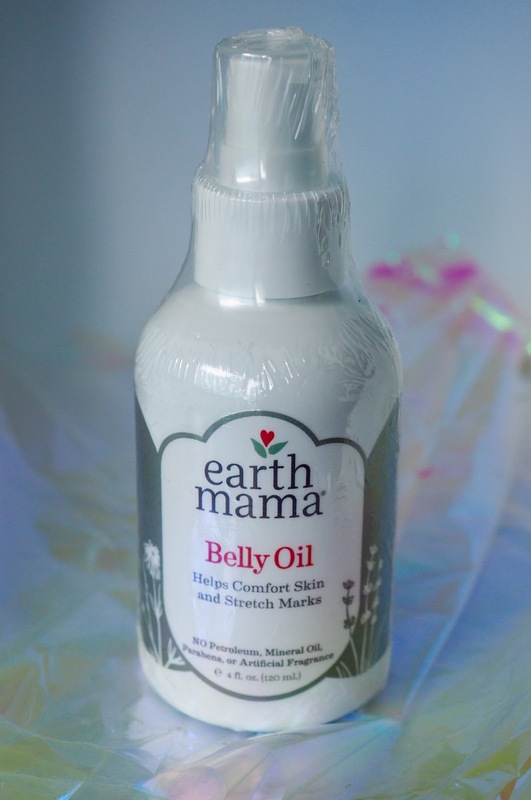 Earth Mama Belly Oil - a favorite of mine! Body Merry Stretch Marks and Scars Defense Oil: $18.99 at Amazon. Contains 6 pure oils, natural and organic. The oil is yellow and leaves a little bit of a yellow tint on the skin. Smells earthy but not overpowering. Does a fantastic job of moisturizing and leaving skin soft and supple. Another great product. 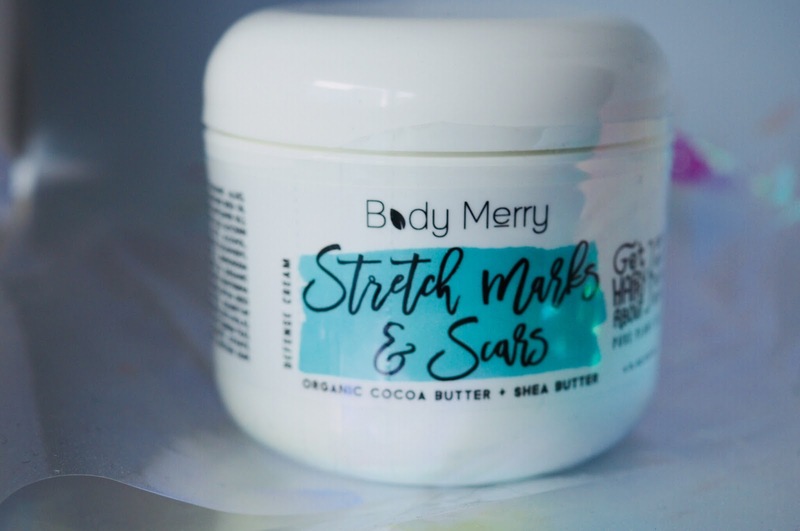 Body Merry Stretch Marks and Scars Organic Cocoa Butter + Shea Butter: $19.99 on Amazon. While this has very high ratings, is safe and natural, I did not like the tackiness of this. It was sticky and didn't absorb or apply smoothly. It was tough to distribute on the skin. I also did not like the fragrance. This was my least favorite belly butter that I tried. Mustela Soothing Moisturizing Balm: $23.00 at Nordstrom. Mustela is a French based brand, best known for its line of baby creams and shampoos. This cream goes on really easy. It spreads evenly and absorbs quickly. It would be perfect were it not for the strong smell. At first, I really enjoyed the scent but as it wore, I found it lingered for hours and was ultimately too much. It is safe to use, being categorized as a 1 on EWG. Bio Oil $23.99: this was highly recommended by many people but I figured, I had so many other options that I didn't need to try this one. Bio Oil contains chamomile, vitamins A, and E, rosemary and lavender oil. Everywhere you check, this product is consistently sold out because everyone seems to love it. People who aren't pregnant use it to fade stretch marks they've had for years. BUT, the more I read about it the more I hesitated. 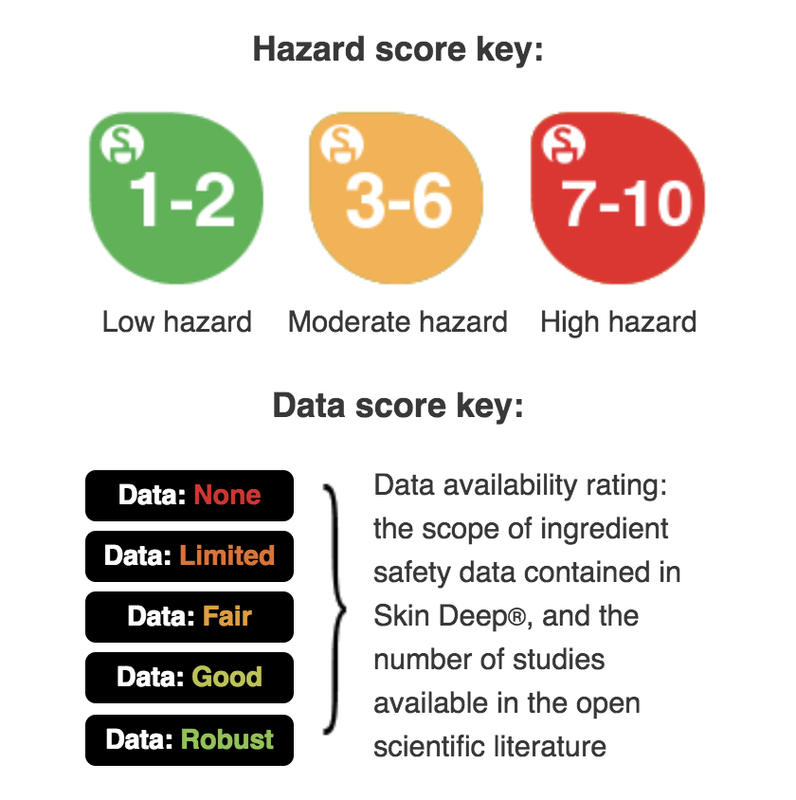 This is ranked as a 7 on EWG, a category which is designated as "high hazard." It contains Benzyl Salicylate which pregnant women aren't supposed to use. It contains Geraniol, which alone, has an overall EWG ranking of 7. The primary ingredient in Bio Oil is mineral oil - a liquid petroleum by-product. Some argue that the amount of these harmful ingredients in Bio Oil is minimal, for me, this was a pass. 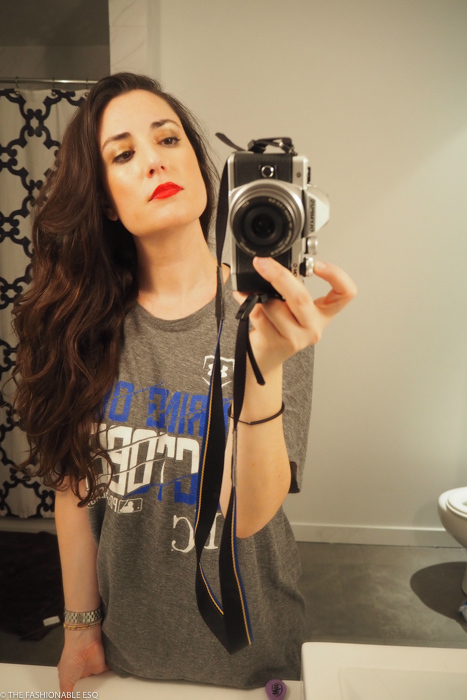 As a blogger, I am fortunate in that I get to test a ton of beauty and haircare products. Of course, I am always open to trying out new things, but along the way, I have definitely developed some favorites. 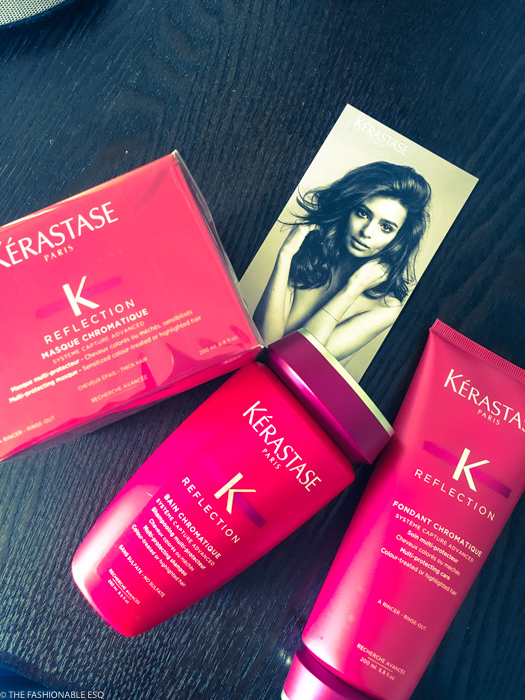 The Kerastase Reflection line is one of those newly favorited product launches. 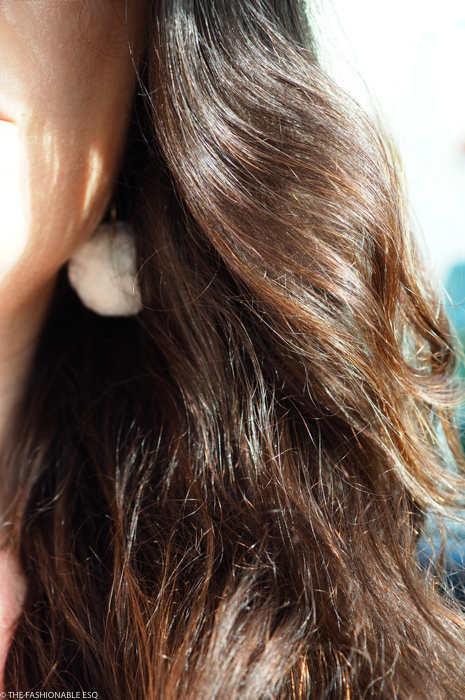 When Kerastase reached out, I was eager to see what they recommended for my hair. A few years ago, I had a bad cellophane treatment that left my hair dry and prone to breakage. In 2017, I reluctantly dyed my hair for the first time, which resulted in my hair turning a shade too dark for my liking. In order to counteract the black shade, I got highlights. The bleach killed my hair. I've been growing it out ever since, trying to do what I can to restore it. 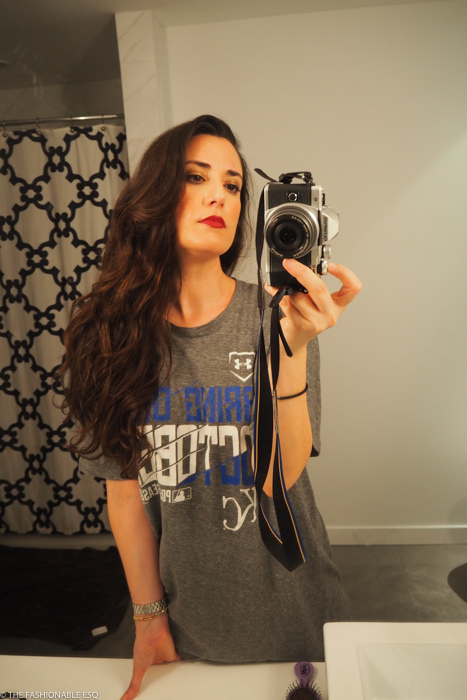 I have been using the Kerastase Reflection line, consistently, for over three months. My hair is stronger, and softer. It also has a lot more shine. I use the Sulfate Free Shampoo for color treated hair and the Reflection Mask. I do use a drugstore shampoo for my first shampoo, then follow it with the shampoo from the line. I leave the conditioning mask on anywhere from 5-10 minutes. I really coat my hair in the mask and use a good amount. The conditioning mask has lasted me a full three months. I still haven't gone through a full bottle of the shampoo. These are high end products which are worth the investment. Kerastase is having a sale on their website. You can now get the Reflection Holiday Gift Set for a special price. The line is carried at my local CVS. Sephora has also recently started carrying Kerastase! If you have tried these products out, please leave a comment letting me know what your experience has been. Kerastase sent me the products in the Reflection line. This post is not sponsored. I recently traveled to East Hampton, in New York, for a weekend trip to celebrate a good friend's engagement. You can read about how we got around, in this post. 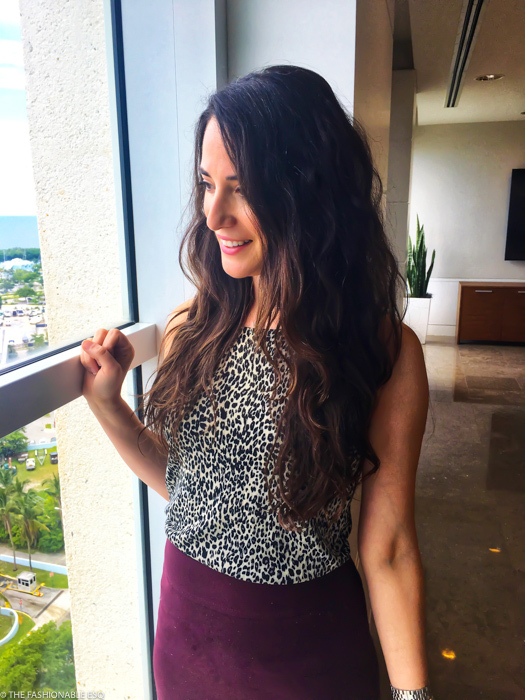 Below is a roundup of what I wore, where we ate, and what we saw. Click below for my Hampton's Travel Guide. 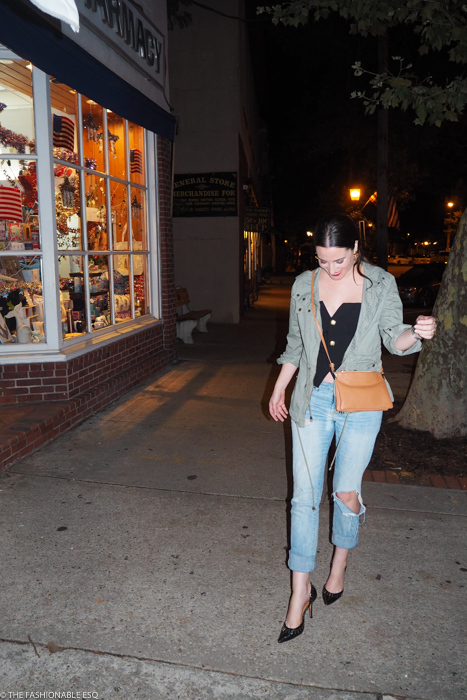 Finishing the night off right, with a side walk shimmy outside of Lulu's Kitchen and Bar in Sag Harbor. Wearing a bustier by Laveer; one of my favorite pieces because it can be dressed up or down. We were a large group so we opted for a 4 bedroom house through Air BNB (5 Longboat Lane) nestled deep in the hills. Every morning, little deer would graze on our front lawn. The location is remote, with spotty internet and cell phone access which allowed us to disconnect. The area was peaceful and quiet, full of wildlife and beautiful scenery. We were about a 15 minute drive to town, and Sag Harbor. Sightseeing: Montauk, Sag Harbor, East Hampton are beautiful. I recommend renting a car and just exploring the surroundings. We were very fortunate to have Volkswagen sponsor our ride, and really enjoyed driving the Tiguan through the beautiful neighborhoods (full review on the VW Tiguan here). The homes are gorgeous. In town, you'll find a Soul Cycle (of course), a farmer's market, and so much good shopping. Shopping: if you're a fashion girl you will find all of your faves located along the strip; Zimmerman, Intermix, Tory Burch, Alice Olivia, everything within arm's reach. 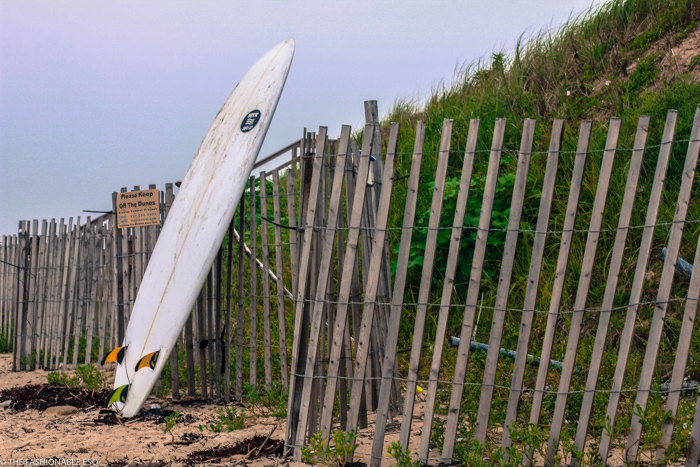 Surf Lessons: we also drove to Montauk and took surfing lessons on the beach. We used Corey's Wave. Really nice and patient instructors. Wildlife: make your way to the Duck Pond. It's a peaceful spot where you can feed the wildlife, walk nature trails and find a bird sanctuary. Be on the lookout for the muskrat! Hire a Private Chef: it's really nice to stay in from time to time, especially while on vacation! Chef Kevin Des Chenes (Food Network alum) prepared a fantastic lobster and clam bake for us, with all of the trimmings. He was a great sport, and a one-man-show who handled everything from meal prep, plating and cleaning. More pictures of the meal below. Lulu's Kitchen and Bar in Sag Harbor: beautiful restaurant with delicious food and cocktails, friendly/knowledgable staff and a great atmosphere. You know it's good when you see Eric Ripert having dinner with his family and then he graciously drops by your table to congratulate the bride. What to Eat: have the skirt steak, mussels, roasted cauliflower, and a Spicy Paloma cocktail. 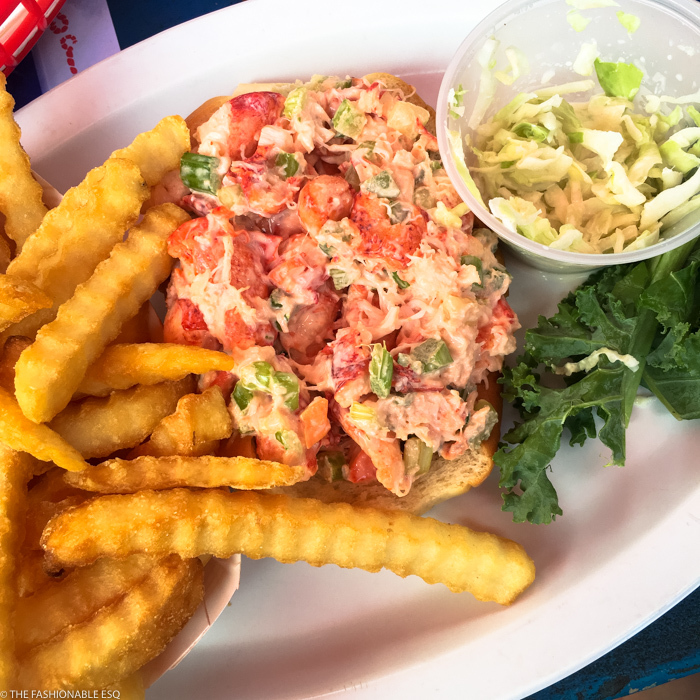 The Lobster Roll: I will admit that I had a total fangirl moment when we stopped at The Lobster Roll on our drive back from surfing. Those of you who are fans of The Affair will recognize this restaurant from the series. What to Eat: have the puffer fish (seriously amazing - you will not believe how good), fried clams, and a lobster roll, obviously. Skip the Bloody Mary - not the best. Lobster Roll at the Lobster Roll. La Fondita Mexican Restaurant: located in Amagansett off of Montauk Highway, this Mexican restaurant came highly recommended but was somewhat of a letdown. Still, I wouldn't say it was bad, but the lines / wait were long and there was nothing I ate that was too memorable. Note: only outdoor seating. The Fashionable ESQ is one of Miami's original, premiere fashion blogs. Netty has been writing TFE for over seven years. The blog not only focuses on fashion and beauty, but also food and travel. 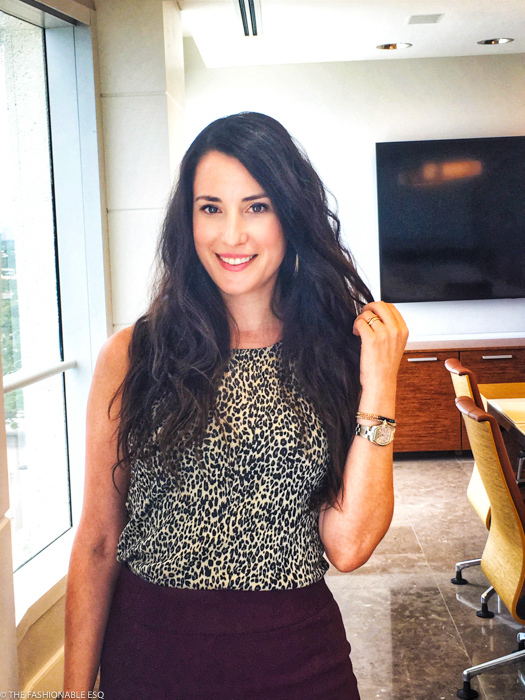 Netty has worked with top industry brands like Maybelline, Lafayette 148, Urban Decay, Mac Cosmetics, Genesis Automotive, Ted Baker, The Gap, and Pantene, to name a few. In addition to blogging, she's a full-time plaintiff's attorney and former 11 year prosecutor. © 2011 The Fashionable ESQ. Do not copy/post my content without my written consent. Don't steal. Powered by Blogger.